Rocket Stove: Any reason my this wont work? John, thanks for the very helpful post. I'll get a copy of NFPA 211 and i'm sure it will help me to get either my RMH or my masonry heater approved. Seems like the NFPA guidelines are scattered all around the internet as bits a pieces, unless you pay $43 for a pdf. Ill figure out how to score a copy. Good point about the wood stove combustible clearance guideline. Good things to take into consideration. I want to built a rocket mass heater, in my exiting house with a 25-30 ft chimney. I want to use the portable rocket mass heater style design with wood sand and gravel. I want to place it on top of an existing floor. The floor has no way to get under it. No basement, no crawl space. I would make sure the thing does not exceed 2,000lb or something like that which should be possible if I don't fill in the center of my bench with gravel & sand I think i'll be ok. The stove I want to build has 90 degree angles as described. 6 ft. (vert) Going up. along side outside of chimney. 1 ft 90 degree joint inside. 24 ft to top of chimney. Attached PIC: want to put the the barrel to the right of the chimney, and build a brick wall handle the heat, where existing sheet rock it, and put the bench basically where I put the sofa in the center of the room, and then put the exuast up the left side of the chimney before entering the chimney about 6ft up. Note: I have not lined the chimney yet, but from what I hear flex tube is not a good idea, so I'll try to find the cheapest decent way to line it. It's just brick now. How much does code matter? I live in NY. Own my own house. I'v been looking at this forum an seeing that that RMH's are not covered under code. Now how much should I care about that? Does it only make a differences when I try to sell the house or should I care while I live in it? It is a nice house so id like to have it covered if my RMH goes wild and burns my house down. When it comes to code is it like: what the city doesn't know wont hurt them? or do you need to get every device you add you your house, specifically inspected and insured? What would work better for this length of a system: 8" or 6"? Size of barrel. 30 gallon drums are nice and compact, id rather use one over a 55 gallon drum. Is there there anything wrong with using a smaller barrel, on a system of this size? But my guess is one to make the heater, give it a second 2nd skin that looks good in a colonial, make it code worthy, and poor a footing, and line 25ft of my chimney (no idea what that costs) i'm looking at $2,500 total i'm guessing). If all else fails ill throw in a wood stove with flex pipe, and call it a day. Any tips or guidance you might have, I thought I would bring it forth to those who have gone before, before doing something dumb, on my own. Great idea, ill design the heat exchanger inputs and outputs as you suggest and see if I can get a convective flow. I'll use the pump to fill the tub through the heat exchanger on the first go, then driconnect the pump house and hope for the best....i'll let you know how it works out. MMM Hot eyeball death....I'd like to stay clear of that. If I can find a drum I'd still like to still try the submerged barrel approach. Seems like you cant beat that heat exchange on a submerged barrel, id just have to wear protective eye wear or more practically protect the barrel from people . Thanks for the posts. lots of nice things to think about. 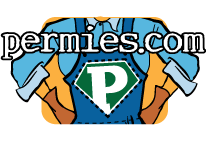 I just ordered my Vermiculite! To give the insulated metal heat riser a try. I am so AMPED to get the Heat riser cooking at 2,000F! i'll be pumping water through my copper with a bilge pump from the river right next to the tub to fill it. I don't think I'll risk melting any copper unless my pump fails, or my battery dies. ill place the heat exchange just above the heat riser maybe at 3.5-4 feet and let it soak up as much heat at is can for about 2ft. If it all works well, i'll get to hang out with friends in the winter and jump from icy stream to hot tub...That is my fantasy anyway if I can manage to bring that much water up to temp. Thanks for the Tips Peter. 1.) 3-4ft insulated circular heat riser at 6" diameter inside of 8-9" brick chimney. at top of heat riser run heat over heat ex-changer in the wider 8" chimney. Allow upper chimney with heat ex-changer to breathe with ventilation spaces if I get reverse flow issues. 2.) same as above with but use an 8"diameter system, and build my chimney larger. (how much insulation space do I need between, heat barrel and bricks on average? 2 inches enough?) Do larger systems need longer/shoter heat risers? I would like to hear your or any one else's thoughts on 8" vs 6" j-tube designs and if for any reason 8" might not work as well as a 6" design I see many people use. I figured 8" would mean more heat faster for trying to get all that hot-tub water up to temp quickly. I'll put a pot of water top of the chimney if I have to harvest every little bit of heat faster. I basically want to get a few hundred gallons of water from 50 to 100F+ as fast as I can. Wow after saying all that I almost think partially exposing the barrel of the rocket mass heater inside the hot-tub would work well if I could stop water from leaking around the outside of the barrel. (the hot tub I'm making is a stone & cement job). i'll try that idea, next if my heat ex changer is a fail & I find a barrel. I setup the start of a rocket stove today. I made it out of brick with a large j-tube shape. I was unable to get any of that super rocketry effect I see on you-tube and my fire was a bit smokey. It does draw in the right direction though, but at the temps I'm getting at the end of the barrel are lower then I thought. Maybe I had unrealistic expectations of flames moving through the burn barrel. The reason I made the burn barrel so wide is that large is that I have a heat ex-changer made out coiled copper tubing 1/2inch wide, 8" diameter coil, so I was hoping to utilize a feed tube that was slightly larger than 8". My thinking now is that either my burn tunnel is to large or the wood i'm using to test (stick found on the ground) have too much moisture, and are creating smoke. I would appreciate any guidance on how to make this work better. *I barely see flames jumping into the smoke stack when I look down the smoke stack (is this normal? ), maybe I have to much length in the bottom of my J-Tube? *Lots of Smoke (I get a fair amount of smoke, i'm going to try for some dryer wood) any other tips? *My Burn Tunnel too large? To install the my copper coil at the end of a system. see sketch in next post. Would this kind of design work if connected to a 30ft tall standard chimney?